An oasis of modern luxury, with a warm island welcome, Inishbofin House Hotel and Marine Spa is far removed from the daily distractions of the mainland. 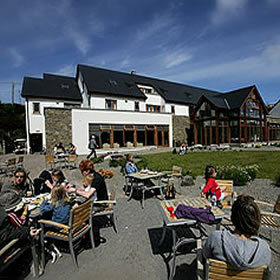 The hotel is guaranteed to provide a warm welcome with friendly staff, delicious locally sourced produce in our restaurant, traditional Irish music sessions in our harbour view bar and a selection of superbly designed bedrooms with spectacular sea views, all in keeping with the islands beautiful setting. We cater for groups, families, weddings, parties and conferences. At our Marine Spa all products used are hand harvested and certified 100% organic. Choose from our new menu of Massage, luscious facials, hydrating wraps and Seaweed baths. Complete your experience in our cosy relax area with a panoramic view over the surrounds and harbour. We cater for half and full day packages as well as those on a day trip to the Island simply wanting to treat themselves as part their Island experience. Turn right from island pier eastwards, past the church along the coast road.